NYC Taxi News would like to thank Anne Cavallaro. After riding in a yellow taxi driven by Mohammad Tanveer, Anne showed Mohammed this picture of her grandfather's taxis in 1937. Mohammad then directed Anne to send us this photo. 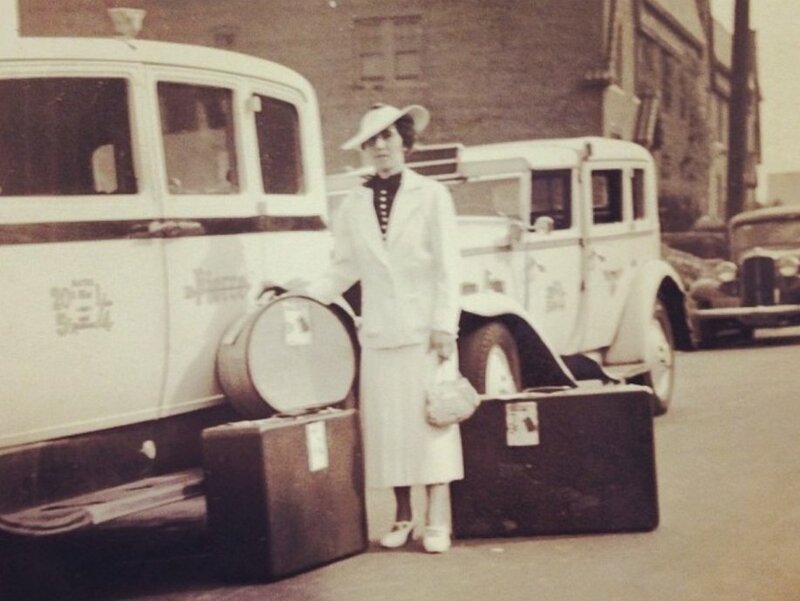 The cabs were owned by Anne's Grandfather's Christopher Livaccari and his brother Tom Livaccari. The brothers bought their first medallions for $50. The woman in the photo is the sister of Tom and Chris. Her name was Carmela Livaccari Anselmo but everyone called her Millie. Millie was on her way to Sicily to visit her family. The Photo was taken on Crescent Street, Astoria Queens, NY.